Rob and Helen Gibson are like any other independent store owners in Australia and are finding the rising electricity network and demand charges tough on the business. Sustainability@Retail offered Acacia Ridge IGA an opportunity to reduce their exposure to these increasing monthly costs and protect their profit margins. 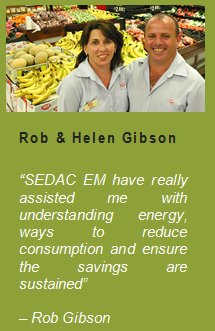 “Our monthly bills began rising rapidly so we engaged SEDAC Energy Management to assist us in reducing and managing our energy consumption” said Rob. The energy initiative completed on the Acacia Ridge site focused on areas of high energy consumption and then optimised the site’s control to ensure more efficient operation. The SEDAC Energy Management system was also installed to provide visibility for Rob, so he could improve operational issues and identify potential technical issues. “The SEDAC Energy Management System is fantastic and allows me to see who is leaving lights on overnight, who is running the air conditioning when it’s not required, and who is not putting down the night blinds correctly. It’s a great educational tool which can allow me to notify staff of their inefficiencies and improve our procedures within the site” said Rob. 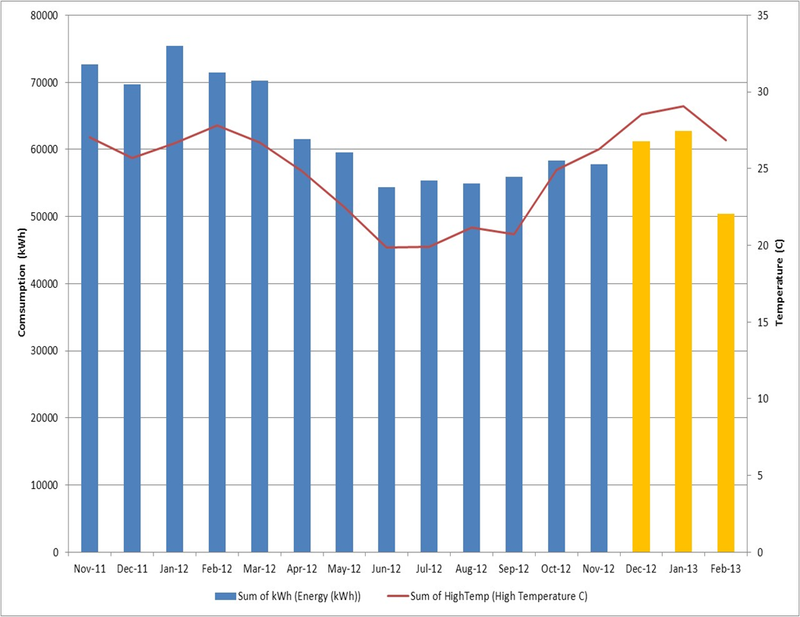 The above graph illustrates the monthly consumption and reduction (yellow) compared to the previous year. The SEDAC EMS not only assists the site with operational and technical issues but also enables live tracking of the savings achieved. Rob has also signed up to the SEDAC EM Continuous Review Process (CRP) which ensures that the savings achieved through the efficiency project are sustained. Overall, the site is now saving 14% ($630) on their electricity costs each month, so the project will pay back in less than 2 years.